My family of 5—my husband Jerry and I and our three sons, Wolf, 15, Hayden, 13 and Fin, 8—live on the frontier of Wyoming, in a town called Lander. It&apos;s a small town, home to about 7,000 people. We love our town, and wouldn&apos;t choose to live anywhere else in the world. But if we had to live in a city, it would be Salt Lake City. Situated at 4,300&apos; elevation in a mountain bowl, Salt Lake City is a spectacularly beautiful town that provides quick and easy access to nature, and a plethora of outdoor recreational opportunities, including abundant hiking, mountain biking, climbing, and camping—and let us not forget to mention: four world-class ski resorts. We drive 5 hours to get here, but people from all over the world access this paradise easily by flying into the Salt Lake City International Airport. We&apos;re an active family, and, given we live in a mountain town, we get an almost-constant fix of nature and the outdoors, so the specific goal for our recent Salt Lake City getaway was not to explore the many trails, but to get some culture and amusement. Our first step was to purchase Connect Passes for all of us. The Salt Lake Connect Pass is a brilliant way to access many of the city’s top attractions with just one purchase and one pass. You can purchase a 1-, 2-, 3-, or 365-day pass. We purchased 1-day passes. This meant for just $32 for an adult (ages 13 & up), or $26 for a child (ages 3-12), we had access to 13 attractions. On a previous trip we saw as much as we could with the pass, running from one amazing attraction to another. Possible, but not recommended. For this trip we wanted to select only a few attractions and to immerse ourselves in each. We left Lander at 5am so we could have almost a full Saturday in Salt Lake City. 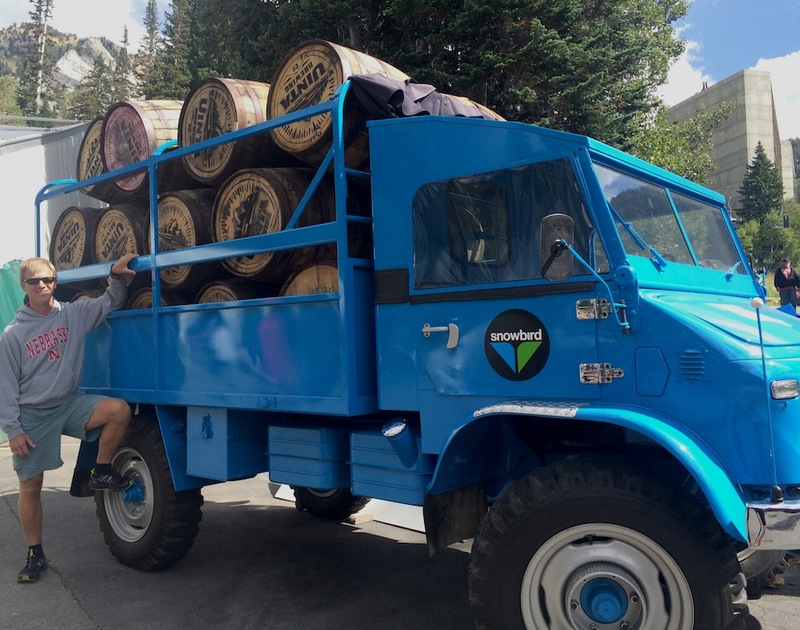 Our first stop was in beautiful Little Cottonwood Canyon, at Snowbird Ski & Summer Resort. It was great timing as we quickly learned it was the first day of their Oktoberfest celebration. We had hoped to ride the tram, but high winds prevented it. We had a great time regardless. Our sons are growing boys who are pretty much eating us out of house and home. Since it had been only 1.5 hours since our big breakfast, the boys were starving. The answer was giant slices of pizza followed by chocolate-covered maple waffles with bacon inside. Pure bliss. 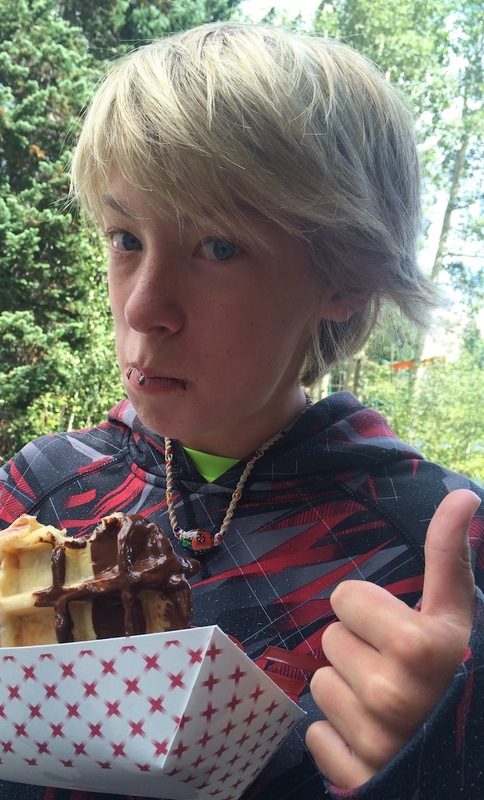 If eating the waffles was all we&apos;d done at Snowbird, it would have been worth it. The boys enjoyed a run down the alpine slide, and then we were off to our next attraction. 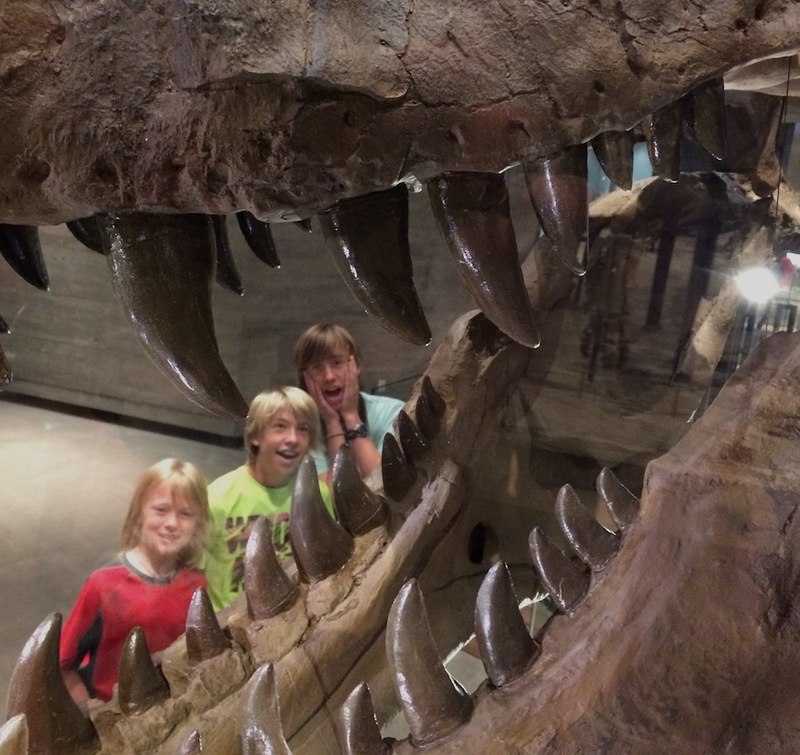 Ever since we started planning this trip, a big goal of our family’s was to explore The Natural History Museum of Utah at the Rio Tinto Center. After exploring the museum’s website, we&apos;d learned there are more than 5,000 artifacts on display and that a stop at the museum would include a “journey to the top of a three-story indoor Canyon where we’d get to wander through Utah&apos;s dinosaurs and animal life, interact with earthquakes and erosion, and see a Digital Globe to discover how the earth&apos;s surface and the Great Salt Lake have changed over time.” The museum also features Utah&apos;s paleontology discoveries, fascinating gems and minerals found worldwide, preserved artifacts from Utah&apos;s prehistoric peoples, and stories told by the five native nations that lie within the state&apos;s boundaries. The museum did not disappoint. 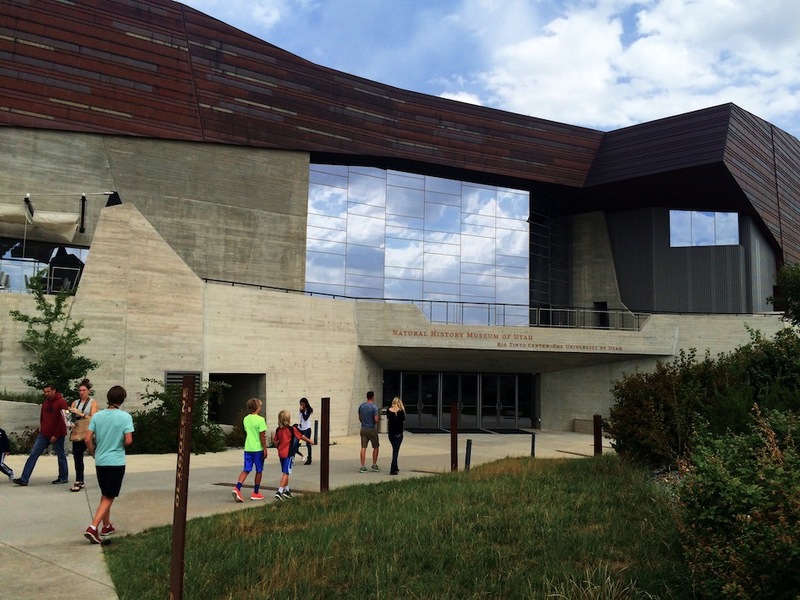 The 163,000-square-foot building, which sits on the edge of Salt Lake City near the University of Utah, was the first source of inspiration for us. It&apos;s a striking building. 42,000 square feet of standing seam copper, which was mined from Kennecott Utah Copper&apos;s Bingham Canyon Mine, located across the Salt Lake Valley, wraps the exterior of the building. It&apos;s installed in horizontal bands of various heights to represent the layered rock formations seen throughout Utah. We started at the top, and moved downward through “switchbacks” that featured extensive exhibitions about Sky, Native Peoples, Life, Land, First Peoples, Lake, and Past Worlds. At the top, our boys examined two sky charts, one used by the Navajo, the other by Western astronomers, before heading to the Native Peoples exhibit. The view from the top is spectacular. 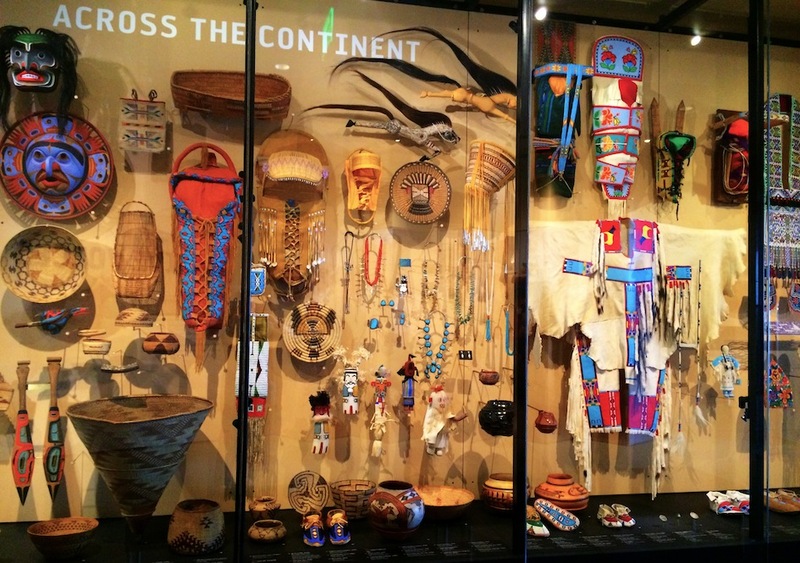 The Native Peoples Exhibit, which was designed in consultation with Utah’s Indian community, depicts Native American art and culture, and interprets the contemporary presence of Utah’s indigenous people. We really enjoyed this exhibit, especially the Storytelling circle where we listened to story after story of origin and connection to the land. After that, we spent a lot of time looking at, reading about, and using the interactive features to learn more about life in all its forms. 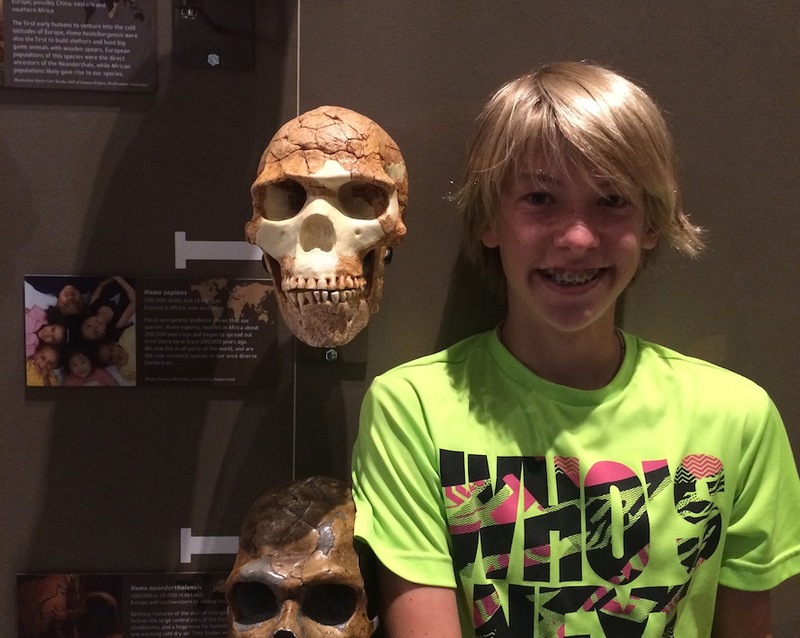 The boys compared the size of their heads to the wall of skulls that illustrate evolution, and looked at an extensive display of animals. The boys especially loved the exhibits related to land. They enjoyed assembling a structure that would be earthquake-resistant, and after examining all of the fascinating geology information, we all agreed that we&apos;re pretty insignificant in the spectrum of time. We spent an hour, easily, in the Past Worlds exhibit, which we&apos;d purposely saved for last. Utah’s Late Cretaceous and Eocene periods are brought to life in displays that capture hte plant and animal diversity, sights, sounds, and smells of the time. We took note of a quote on the wall by one of my favorite writers, John McPhee: “The Cretaceous is not so far back in the history of the world. It’s in the last three percent of time.” As we explored these ancient times, we marveled at more than 30 skeletal reconstructions. And the wall of 14 Ceratopsian (horned) dinosaur skulls is fascinating. Our time at the museum was certainly a trip highlight. We hope to return to explore it even more deeply the next time we’re in Salt Lake. 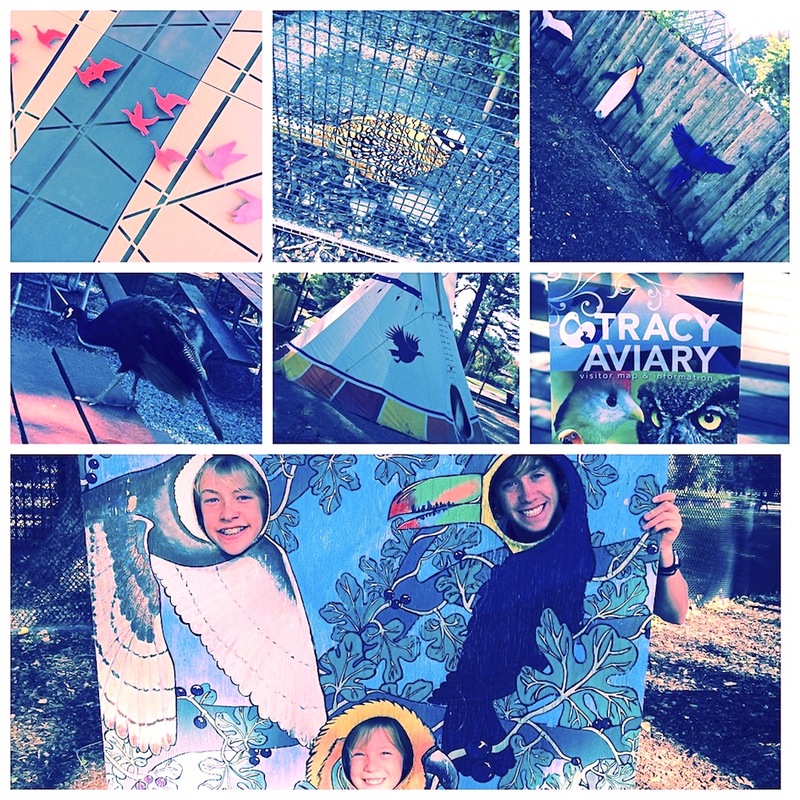 From the Natural History Museum, we zoomed to the Tracy Aviary, which we reached with only an hour left before it closed. 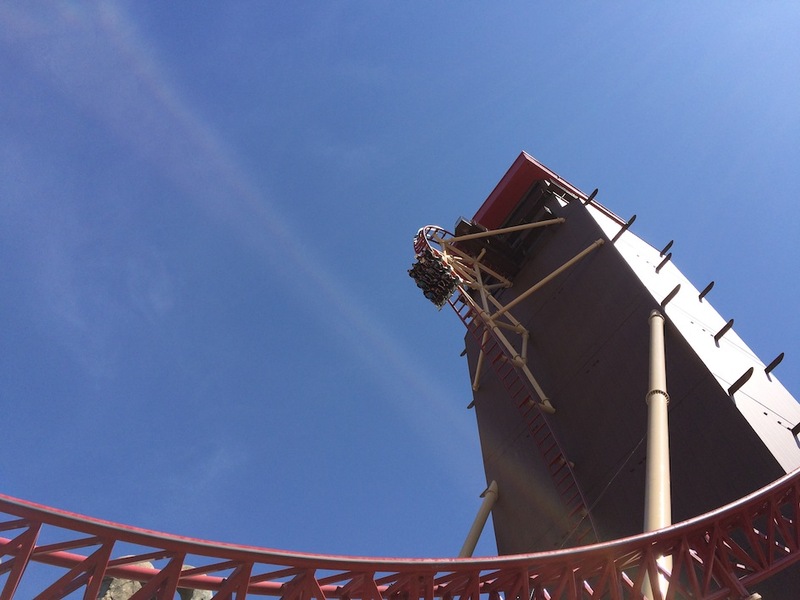 We couldn’t believe we hadn’t known about this attraction before. The Aviary is home to more than 400 birds that represent about 135 different species. We enjoyed exploring the tranquil, wooded setting while gazing and learning more about a variety of birds. Our favorites were the Andean Condor, “the king of the Andes," the Great Green Macaw, the golden and bald eagles, and the trumpeter swans. We spent the most time in “Owl Forest,” though, where we had staredowns with all kinds of owls, including a Great Horned Owl, Great Grey Owl, Barred Owl, Western Screech Owl, Eastern Screech Owl, Long Eared Owl, and our favorite, the Burrowing Owl. By now we were hungry again and the boys voted for California Pizza Kitchen. (We don’t have a California Pizza Kitchen in our small Wyoming town, and the boys had heard from friends and cousins that it was great pizza.) After filling up, we headed to the last stop of our fun-filled Saturday: Clark Planetarium. 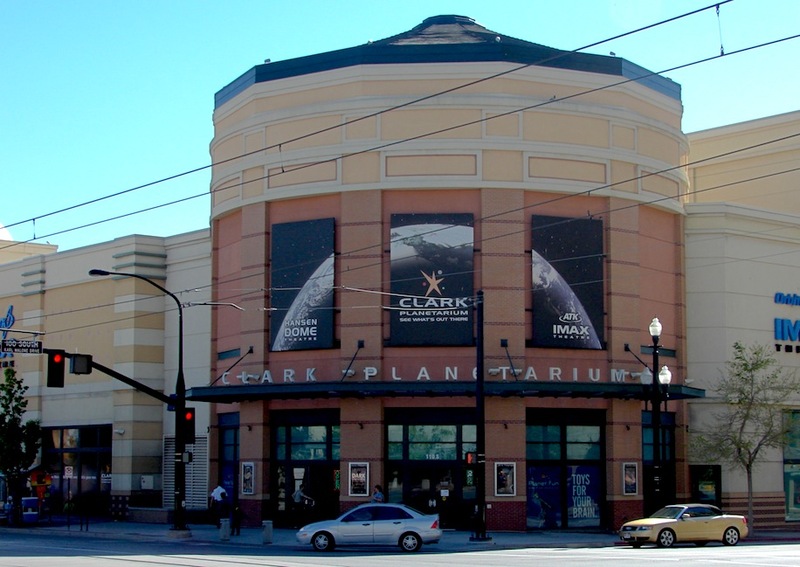 The Clark Planetarium is 10,000 square feet of exhibits and incredible visuals, enjoyed in the IMAX® Theatre and/or the Hansen Dome Theatre. Our Connect Passes provided each of us with admission to a show in the Dome Theatre and an IMAX show. We watched Black Holes in the Dome Theatre and then Humpback Whales in the 5-story-high IMAX Theatre. It was quite a day, considering we started at 5am and drove 5 hours to start our Salt Lake adventure, so after filling ourselves with popcorn while watching epic whales, we checked into our hotel. 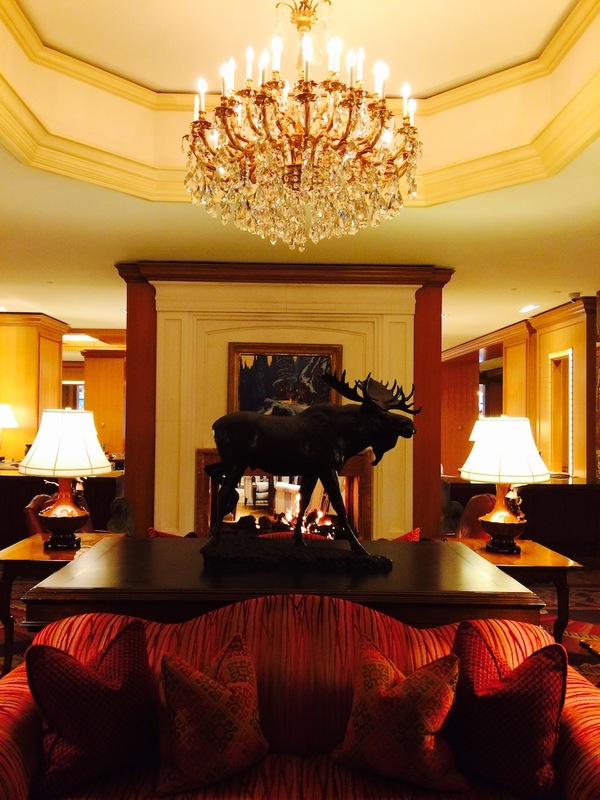 We stayed at the Little America Hotel in downtown Salt Lake City. As we walked into the grand and elegant marble-floored lobby, our 15-year-old son announced, “Hey guys, I think we&apos;ve arrived.” This family who usually sleeps in a tent, camper, or cabin, had, by all indications, arrived. There were robes for all of us, and Jerry and the boys hit the pool and hot tub while I laid in luxury on the comfy bed and read some chapters in a great book. By 11pm, we had squeezed every last bit of experience out of the day, and we slept like babies. The next day was met with enthusiasm (to say the least). 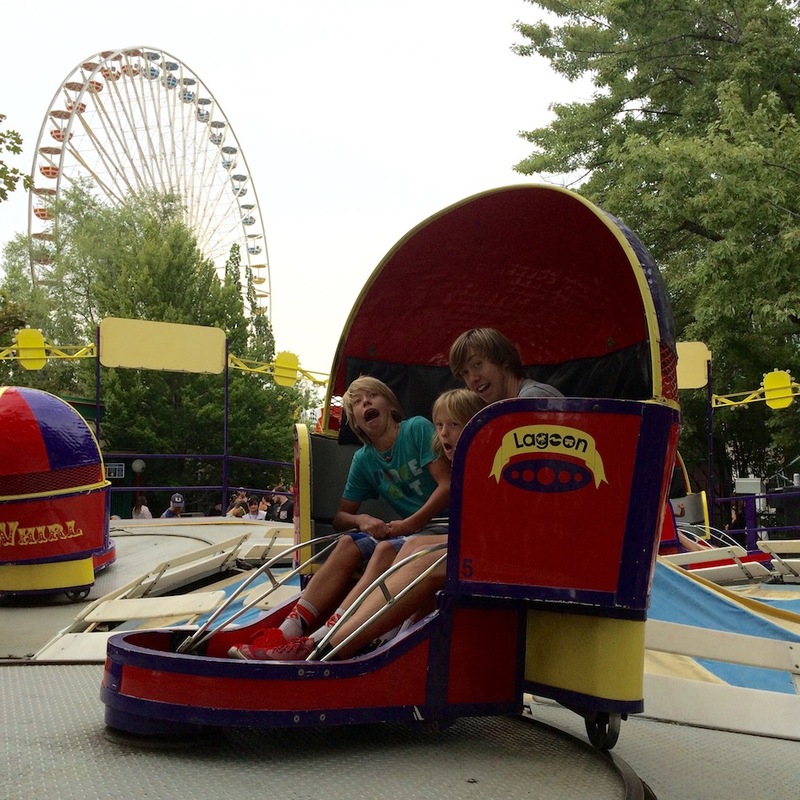 We were headed to one of our boys’ favorite destinations, ever: Lagoon. 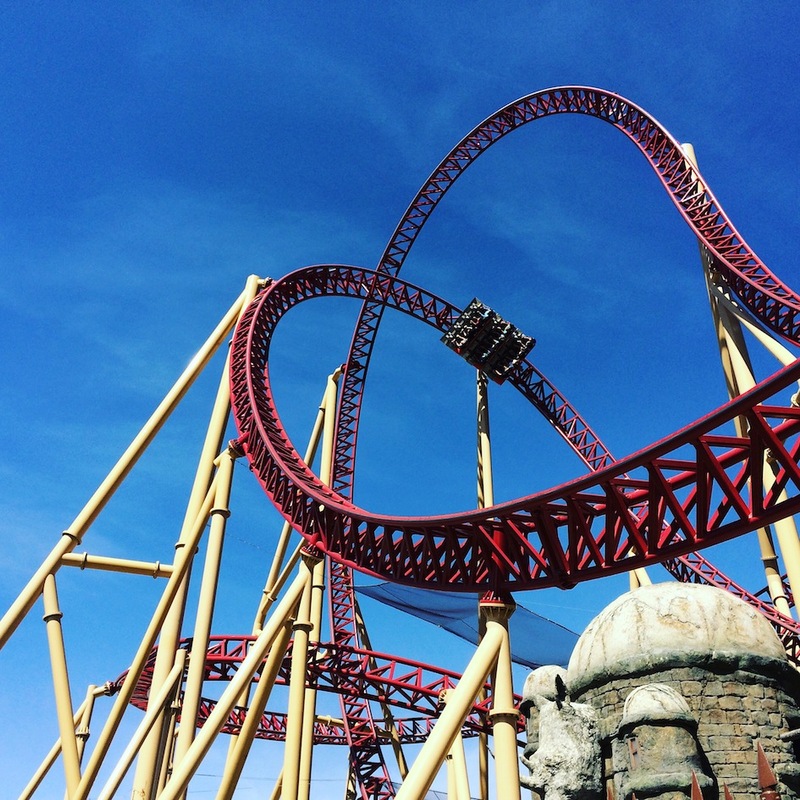 We normally go to Lagoon to enjoy the waterpark and the amusement park. Today it would be all about the rides. There are 54 rides (if we did our math correctly) here, and we had come to ride most of them. Our two oldest sons’ attentions were focused on the newest ride, The Cannibal. 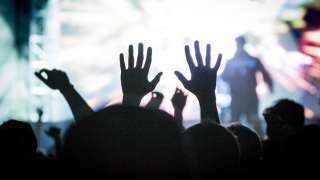 They&apos;d researched it and talked to friends who had raved about it. I asked if I could join them, and they said yes. Gulp. The ride starts by taking you up, slowly, in an pitch black building. I’m not sure why this is, but I think it’s to close down the senses before spitting you out up high and dropping you directly into an overhanging descent. After that we went upside down, through loops and over waterfalls, including herking and jerking back and forth and switching directions between one upside-down loop and another. Yes, I was freaking out. Luckily, by the time the fear hit, the ride ended. I think it’s accurate to report that Wolf, Hayden, and I were all blown away by the ride, and we were talking quickly in excitement when we met up with Jerry and Fin. We spent most of a full day getting tossed and turned, spun and spit out, splashed and jerked about. Good times! We rode Samurai, Wicked, Wild Mouse, Colossus The Fire Dragon, Cliff Hanger, Bat, Space Scrambler, Tilt-A-Whirl, Tidal Wave, the old wooden Rollercoaster, and Rattlesnake Rapids. 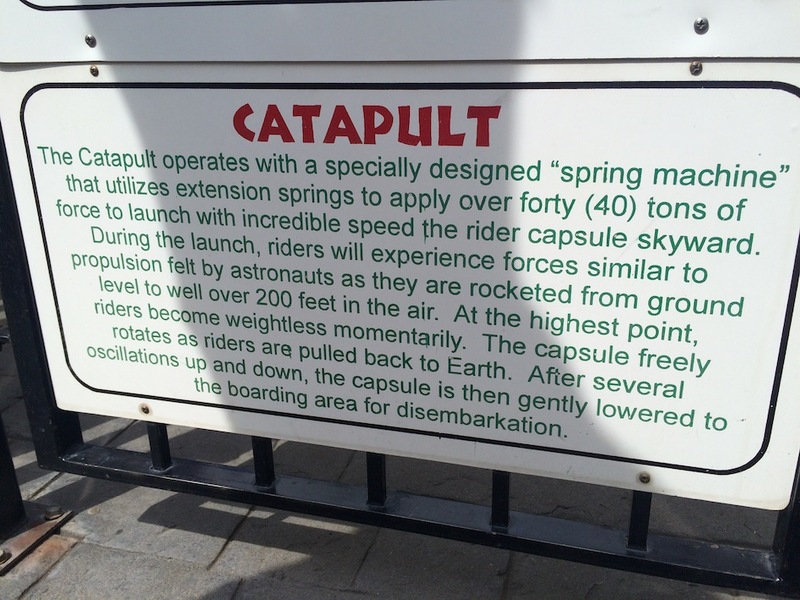 In addition, my husband Jerry and I paid an extra $20 each to get launched 200 feet into the air at a rate of “40 tons of force.” It was epic, and the boys were impressed with their mom and dad, which is never a bad thing. Whipped, fulfilled, and exhilarated, we exited Lagoon. We had one last item on our to-do list for the trip: A movie at the Cinemark Sugar House Movies 10 Theater. There, Jerry and I enjoyed A Walk in the Woods, and the boys enjoyed Antman. I can’t forget to mention what an experience this movie theater provided. We sat on big, comfortable recliners. It was pure bliss to be reclined watching a movie after a fun-filled day logging miles on our feet as we zig-zagged from one spinning ride to the next. When we returned home, we were full. 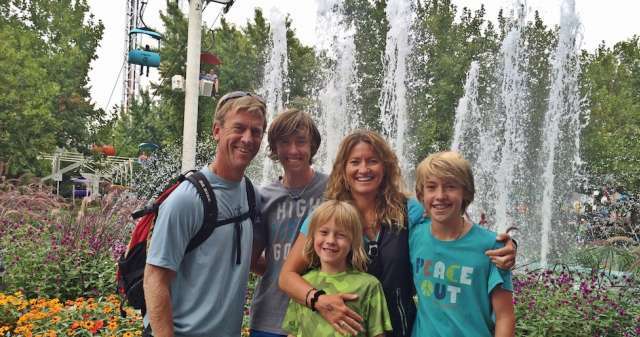 It had been a culture-filled, exhilarating time as a family that we&apos;ll never forget. Thank you once again, Salt Lake, for delivering.